Polish Wings No. 26 Petlyakov Pe-2 & UPe-2 Tupolev USB plus wkładka w j. polskim :: Wydawnictwo Stratus sp.j. 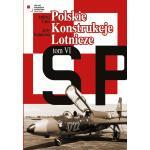 Polish Wings No. 26 Petlyakov Pe-2 & UPe-2 Tupolev USB plus wkładka w j. polskimNOWOŚĆ! UWAGA! 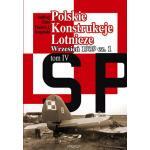 Przedsprzedaż - wysyłka po 30 kwietnia 2019. 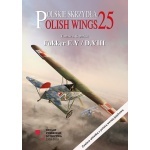 This new book in the popular Polish Wings series tells the story of two famous Russian World War Two bombers in Polish Air Force service and colours. The Petlyakov Pe-2 was a Soviet light bomber regarded as one of the best ground attack aircraft of the war; it was also successful in the roles of heavy fighter, night fighter and reconnaissance. The UPe-2 was a dedicated trainer version built in smaller numbers. The Tupolev USB was a high speed twin-engined three-seat monoplane bomber, first flown in 1934 and numerically the most important bomber in the world in the late 1930s. 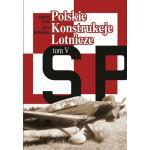 The book includes over 120 photographs and nearly 30 colour plates to profusely illustrate these aircraft. Their technical details, military markings and maintenance stencils are shown in the detail.